The AAP has invited Congress president Rahul Gandhi to attend its mega "Tanashahi Hatao, Loktantra Bachao" rally at Jantar Mantar in the national capital on Wednesday to corner the Narendra Modi government. The Tanashahi Hatao, Loktantra Bachao rally is expected to begin by 12pm on Wednesday. AAP leader Sanjay Singh told PTI that Gandhi is one of the invitees of the 'Tanashahi Hatao, Loktantra Bachao' rally. "Sharad Pawar, Sharad Yadav, Tejashwi Yadav, Akhilesh Yadav, Mayawati, Mamata Banerjee, M.K. Stalin and Chandrababu Naidu are among other leaders invited for the rally," he said. The Tanashahi Hatao, Loktantra Bachao rally will be attended by all those who had participated in Banerjee's rally in January in Kolkata, said Delhi AAP convener Gopal Rai. 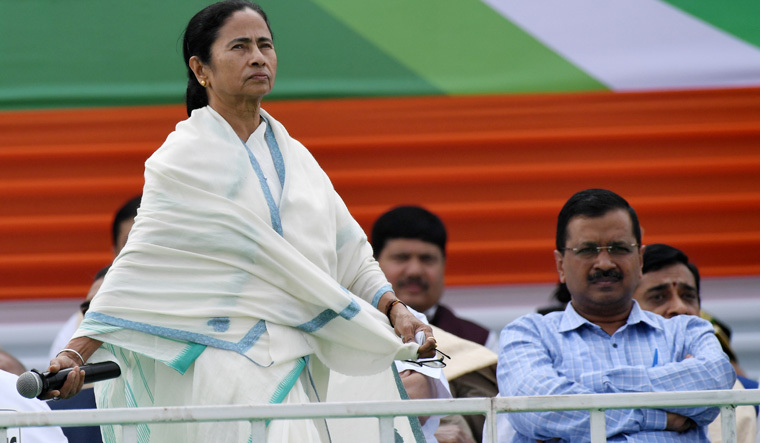 Sources said with just around two months left before the polls, the rally will serve to bring the opposition leaders together in firming up a Mahagathbandhan (grand alliance)to challenge the BJP and its National Democratic Alliance (NDA) partners in the polls. There were talks of an alliance between the AAP and the Congress for the Lok Sabha polls, but the local leadership of the grand old party is believed to have been against it.